Literally this phrase says: “You have (a) no, (a) yes you can get”. You use it to say that you can only benefit from trying something because when it fails, you are back to where you were before trying. Depending on the context, it can be translated as ‘nothing ventured, nothing gained’ or along the lines of ‘it doesn’t hurt to ask’. – “Nooit geschoten is altijd mis”: nothing ventured, nothing gained. Lit. “Never shot is always a miss”. – “Wie niet waagt, die niet wint”: nothing ventured, nothing gained. Lit. “The one who doesn’t take risk, does not win”. – Krijgen: to get/receive/obtain [verb] [kreeg, gekregen]. – Wagen: to dare, to take risk [verb] [waagde, gewaagd]. 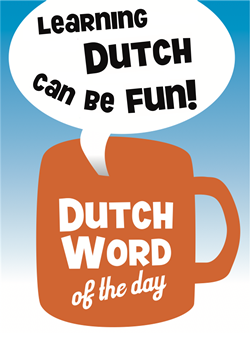 This entry was posted in Dutch phrase of the week, DWOTD 1.0, Vocabulary Intermediate and tagged ja, nee, nee heb je ja kun je krijgen by Sander. Bookmark the permalink.